Anywhere children can go on the internet, whether it is a social site or an app, you will inevitably find predators. 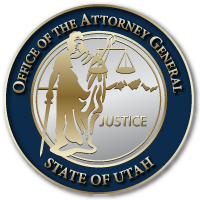 Each year, the Utah Attorney General’s Office receives between 4,000 and 6,000 complaints about inappropriate contact with children online. To keep your children safe, take proactive steps to protect your children online, said Jessica Farnsworth, Section Chief of the Internet Crimes Against Children’s taskforce in the Utah Attorney General’s Office in an ABC4 report. Investigate your children’s accounts and actively look at what your children are doing and posting online. Be sure to adjust privacy settings to set accounts to private and turn off location tracking. Pay close attention to who they’re communicating with and maintain an open dialogue about their activities there. This entry was posted in Archived Posts, Recent Posts and tagged ICAC on June 27, 2018 .